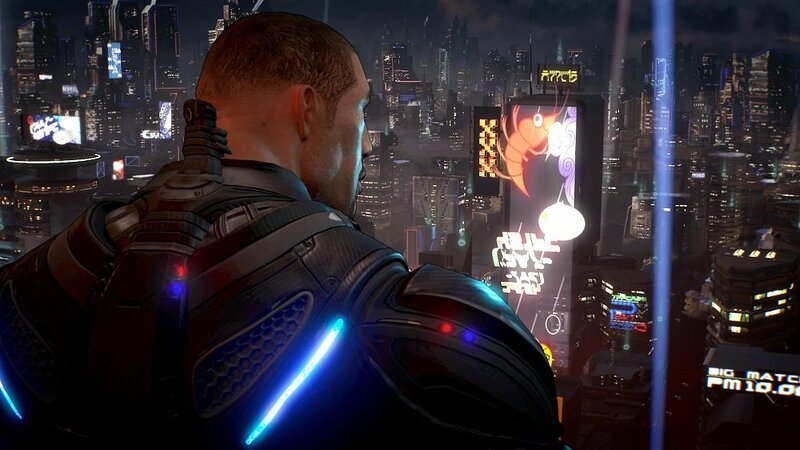 After a lengthy and rocky development, Crackdown 3 is on the way. The game's senior developers will be present at San Diego Comic-Con where they promise some "exciting" new news is to be revealed. Narrative designer Dave Mongan, art director Dave Johnson, and designer Clint Bundrick will be holding a panel at the oxygen-depriving SDCC, where they will be talking about the process of bringing Crackdown's spectacle of destruction to fruition, as well as fielding audience questions. As an extra surprise, the panel will feature a "special guest" which everybody is already assuming is cast member Terry Crews (fresh from not being the voice of Overwatch's Doomfist after all) It's a pretty snug assumption that it will be Crews making the appearance, but less guessing equals less crushing disappointment. If you wanna take part, then the Crackdown 3 panel will take place at SDCC Saturday July 22 at 11:00am PST. Crackdown 3 will hit Xbox One and PC November 7.